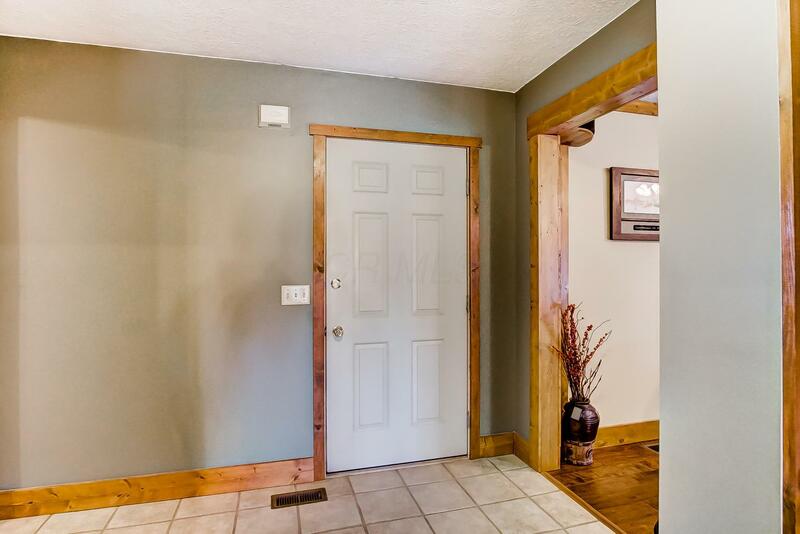 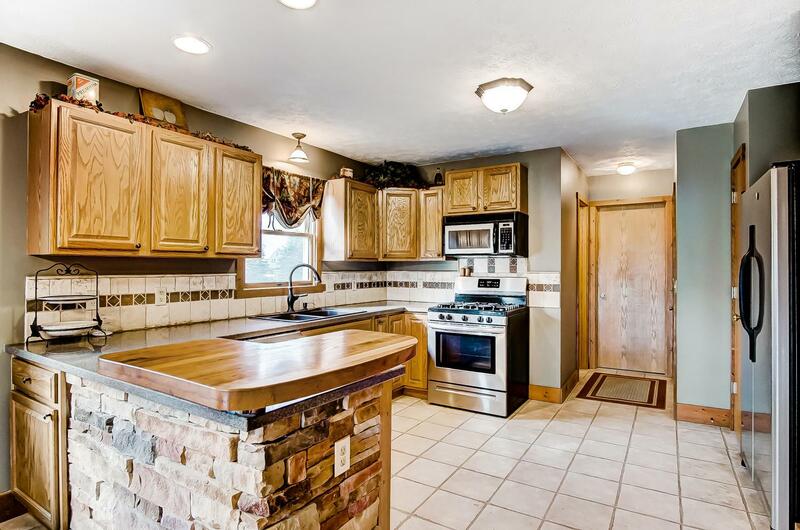 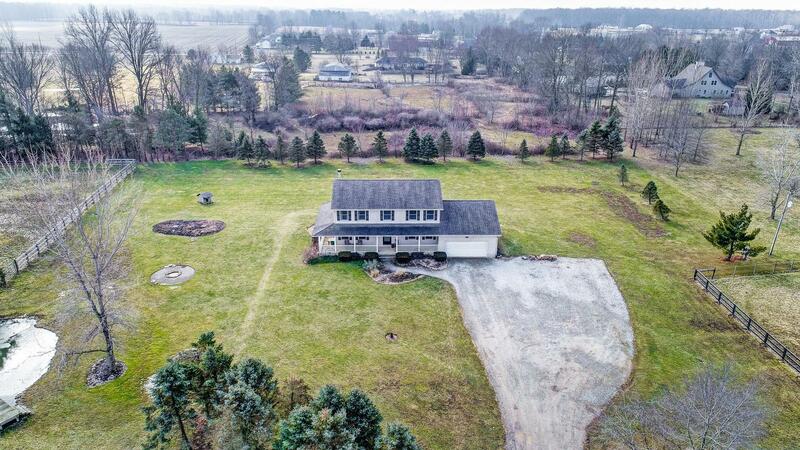 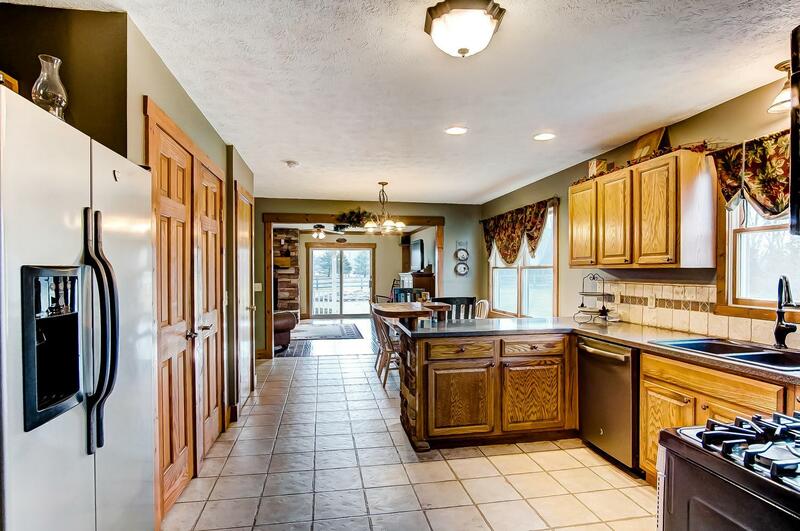 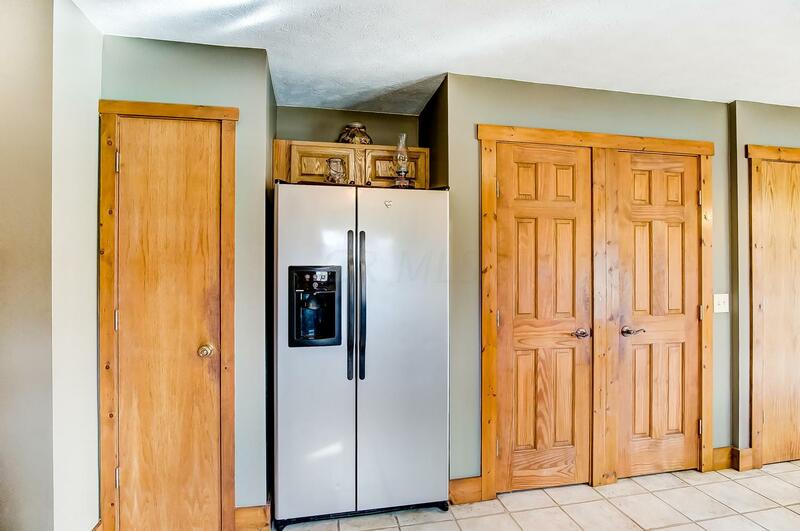 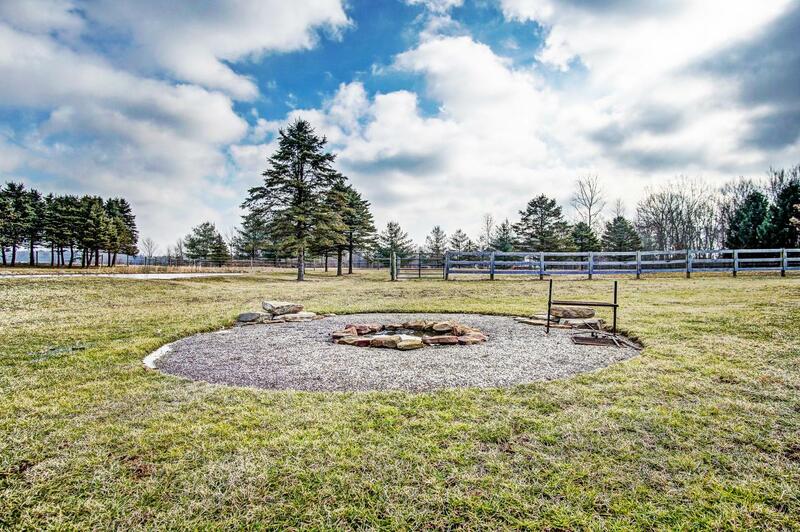 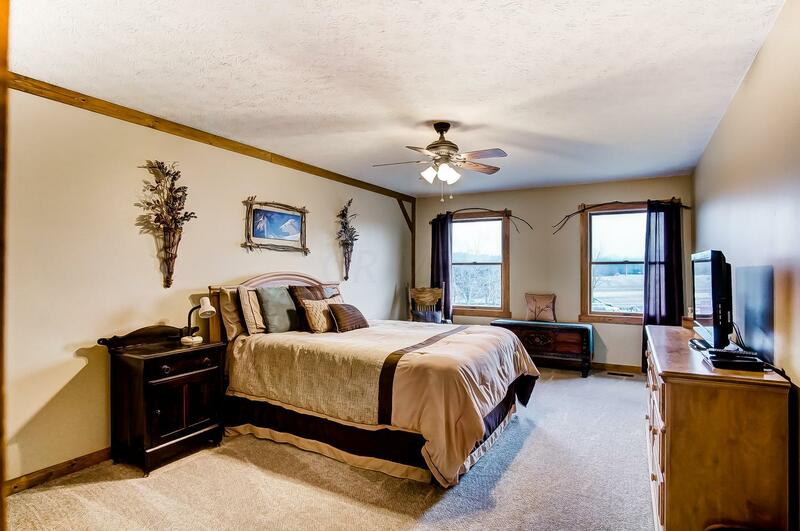 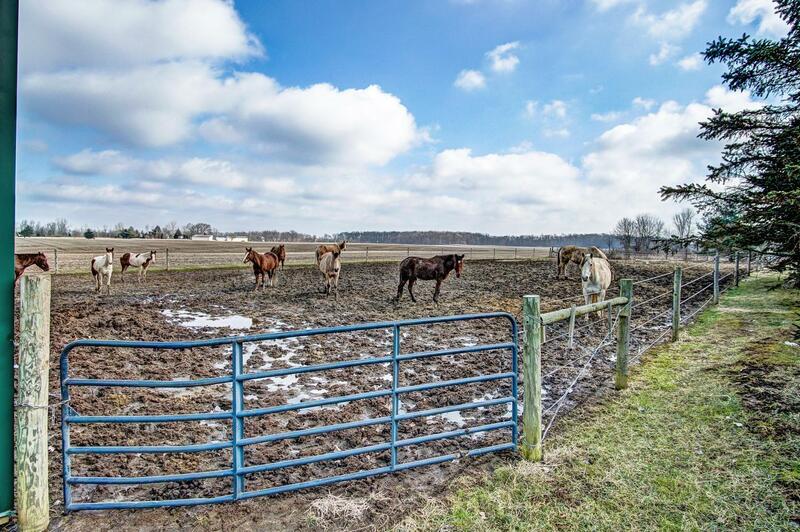 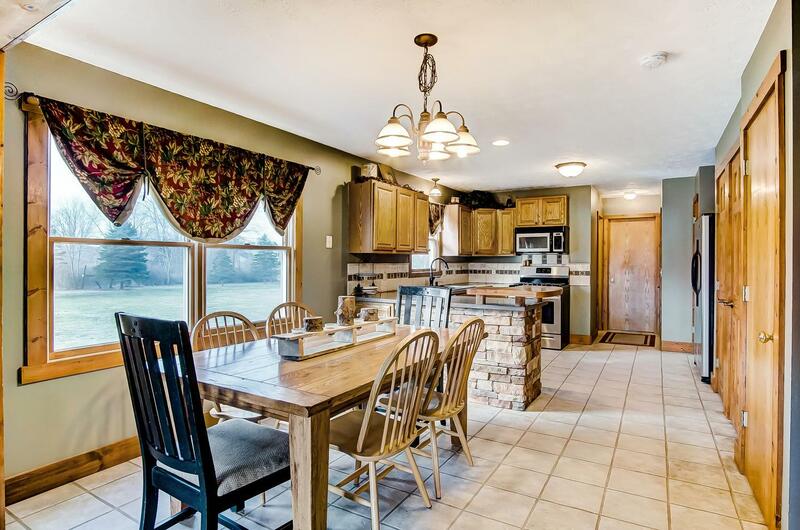 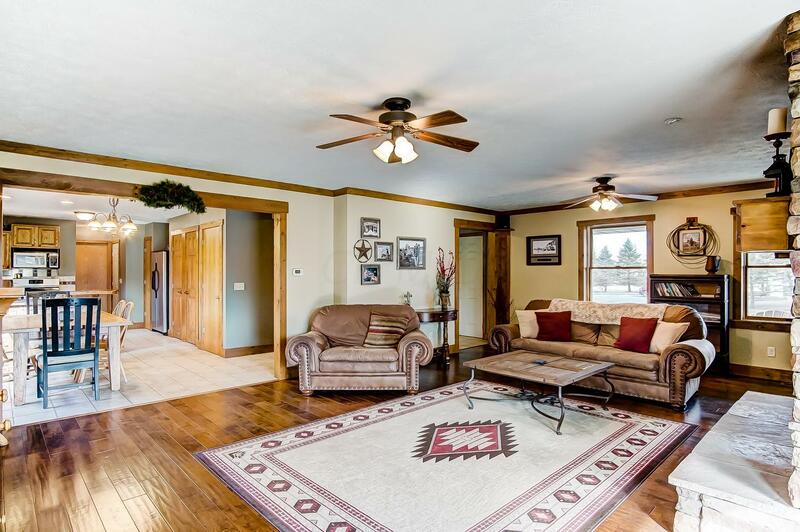 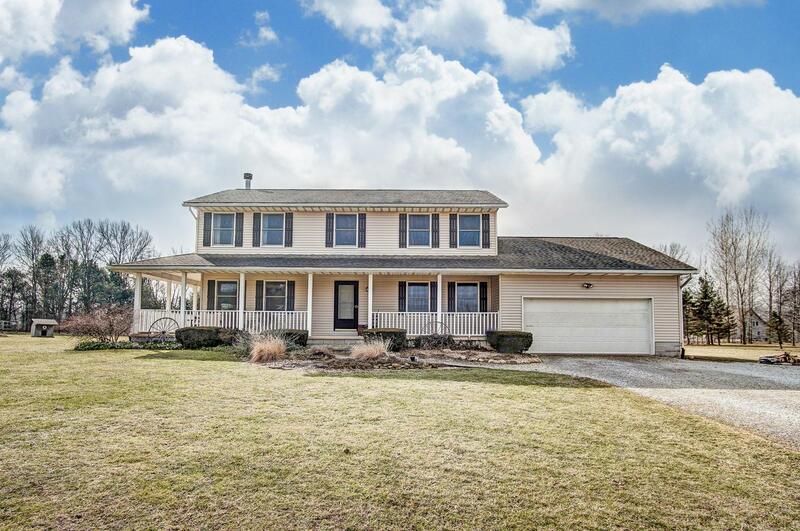 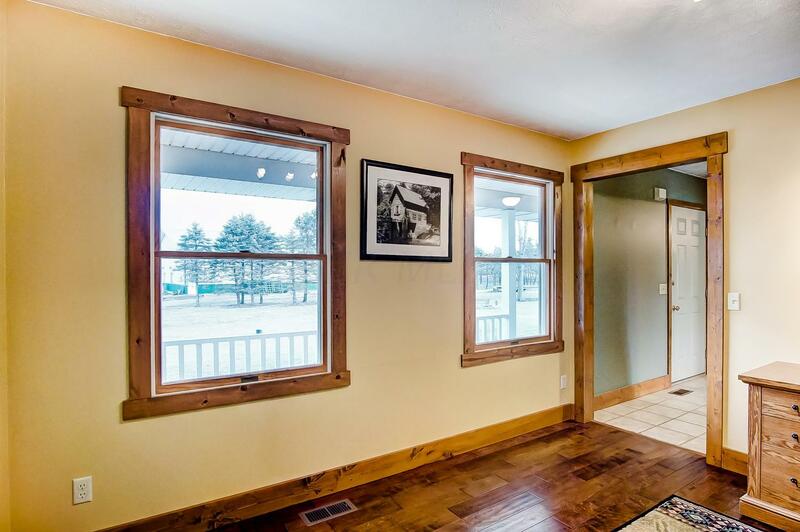 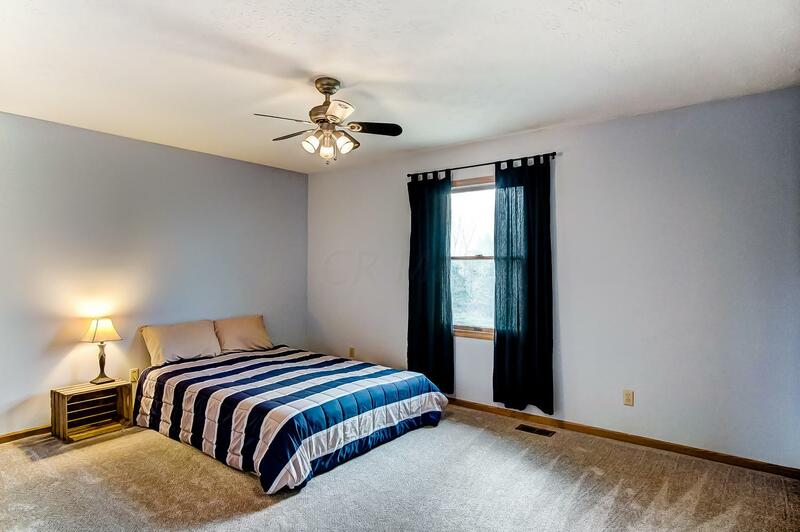 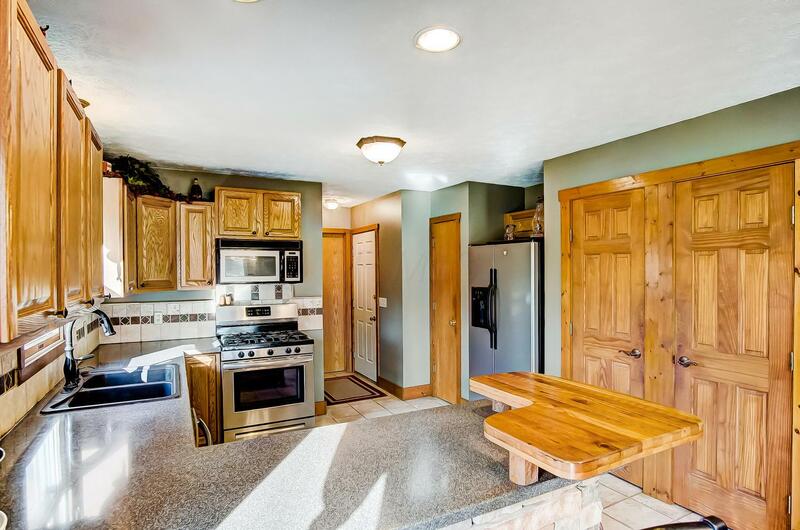 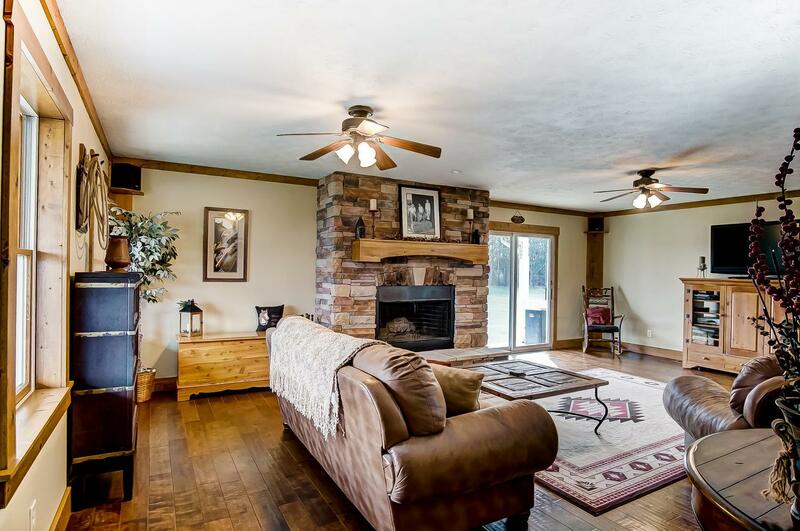 An Amazing Opportunity For an Equestrian Property w/Beautiful Home That Sits on 6.45 Acres - Big Walnut Schools! 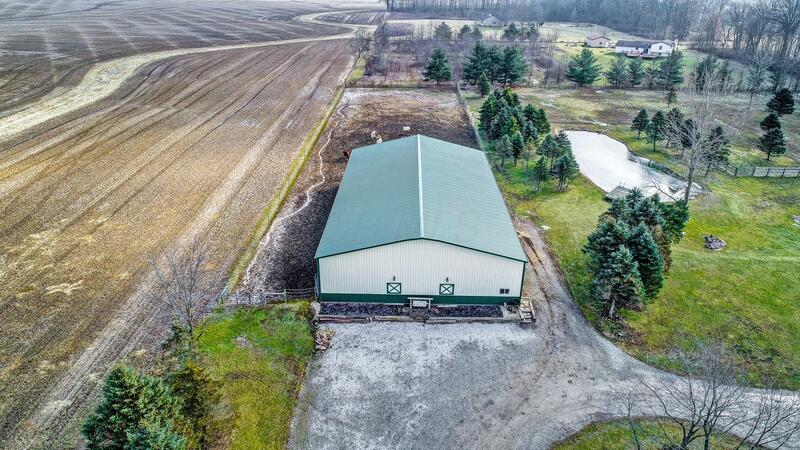 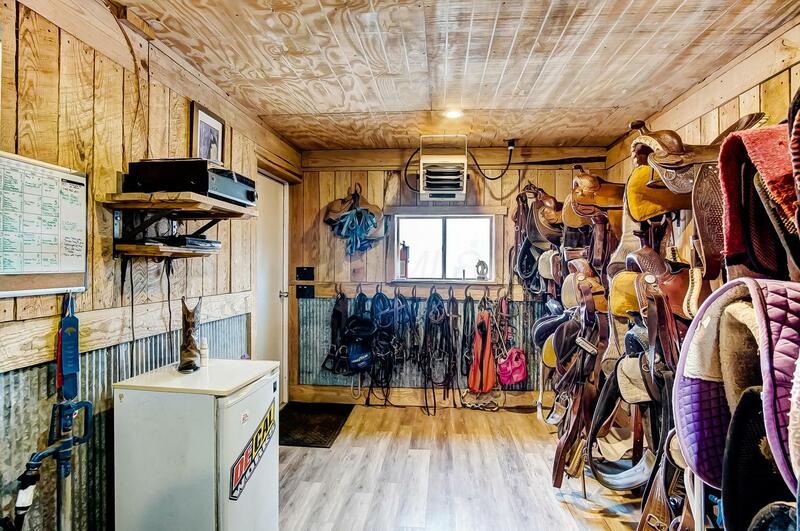 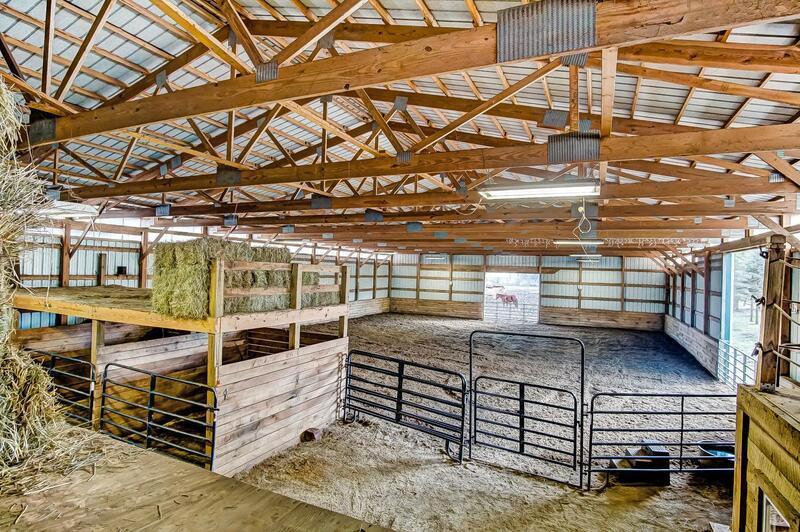 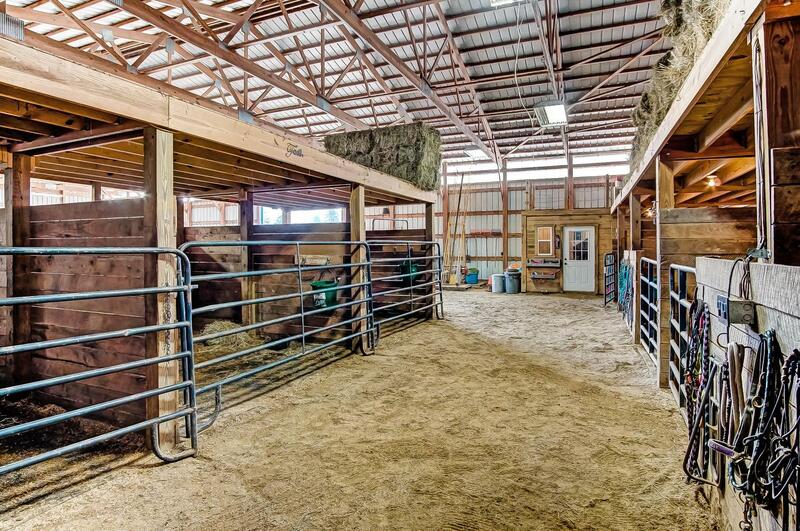 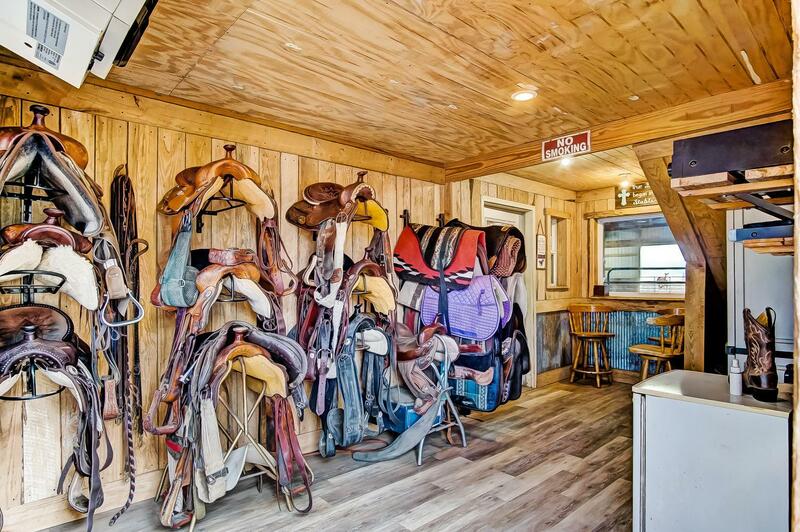 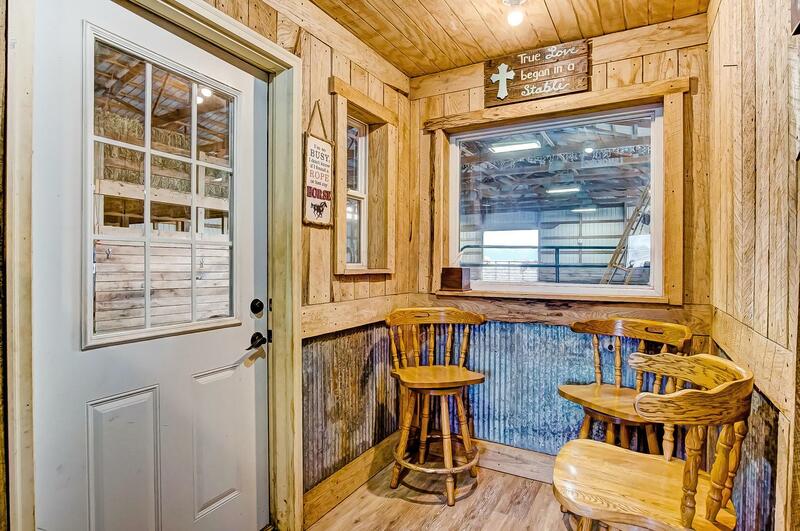 This Unique Place Offers an Incredible 60x104 Main Barn w/Indoor Riding Arena that is 60x72! 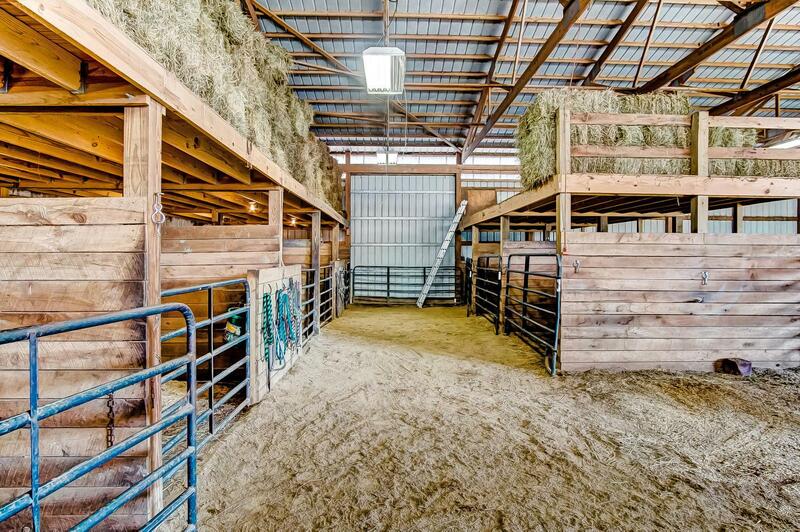 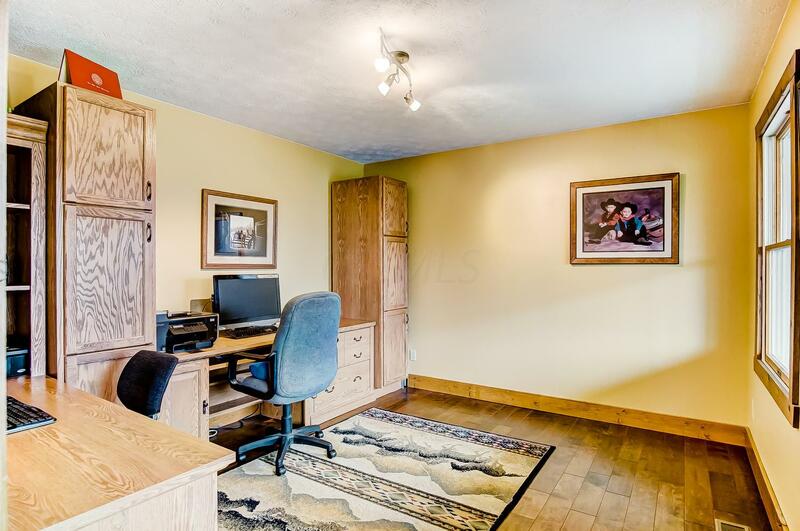 Stairs in Loft Provide Extra Storage and Hay Lofts! 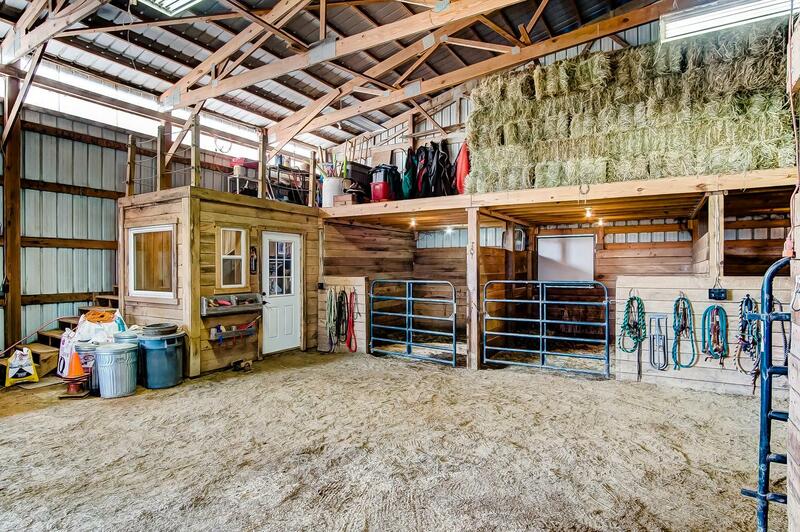 Heated Tack Rm and Observatory Rm! 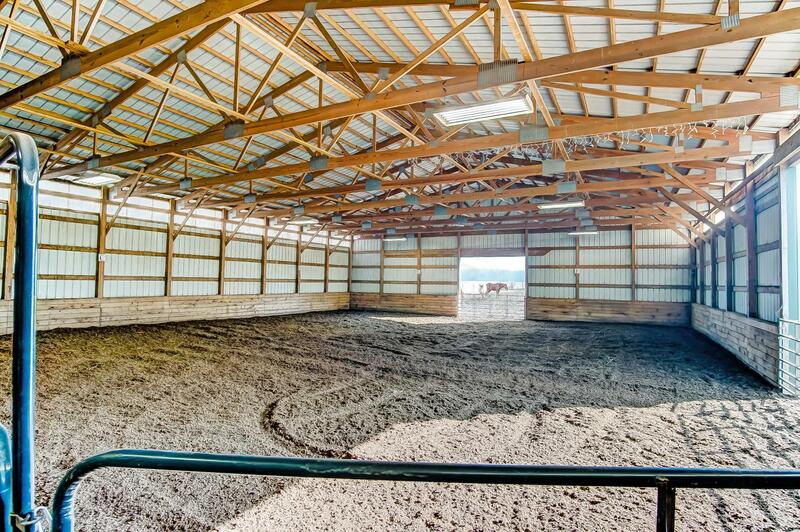 Eight 10x12 Stalls! 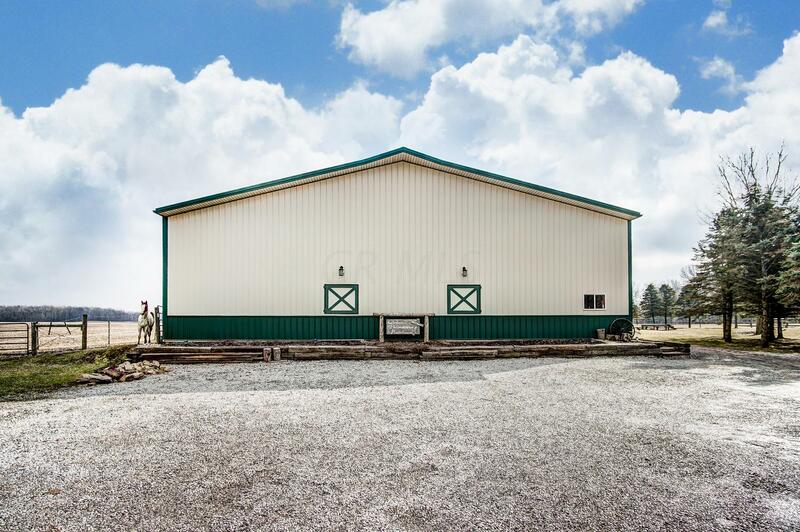 Add'l Bldg for Storage, Shelter, Outdoor Equipment! 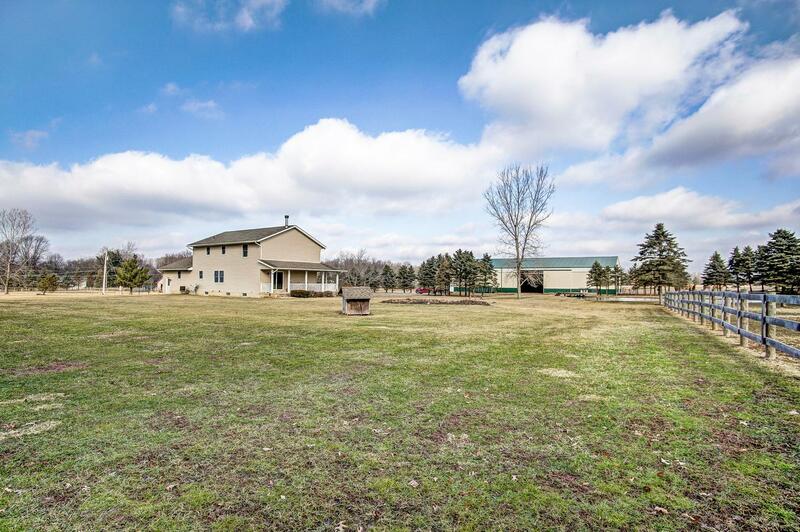 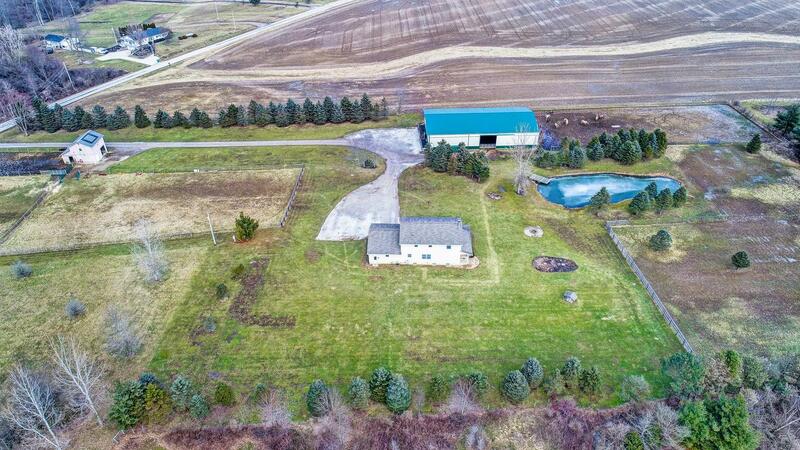 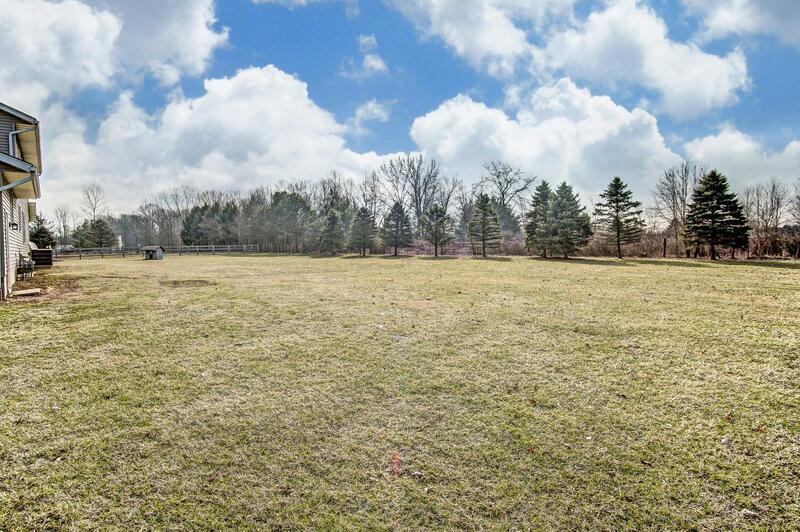 3 Acres of Fenced Pasture and Add'l Sacrifice Lot! 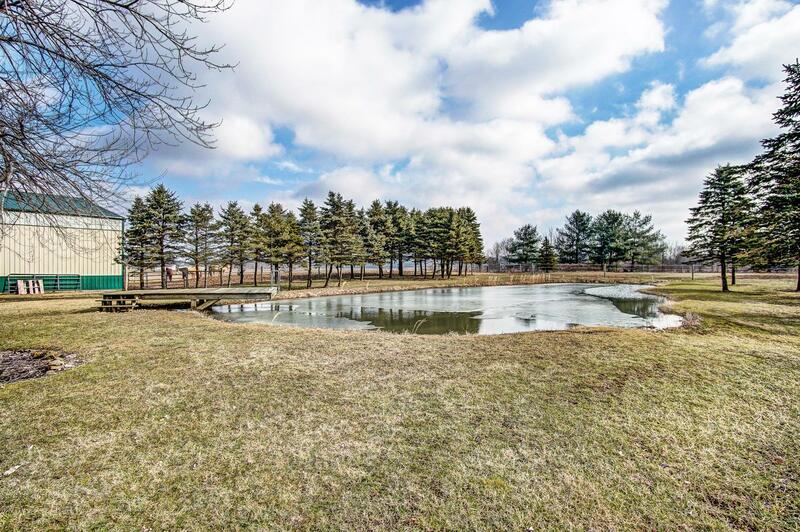 Big Pond w/Dock For Swimming and Fishing! 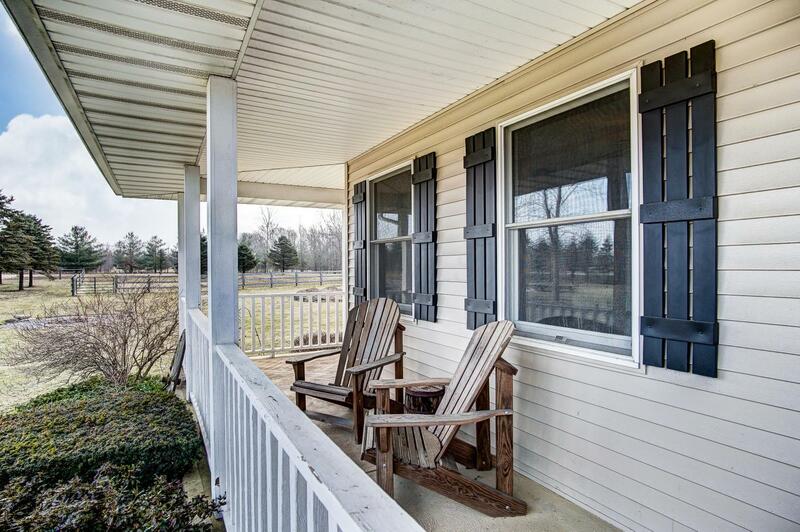 Relaxing Full Covered Front Porch! 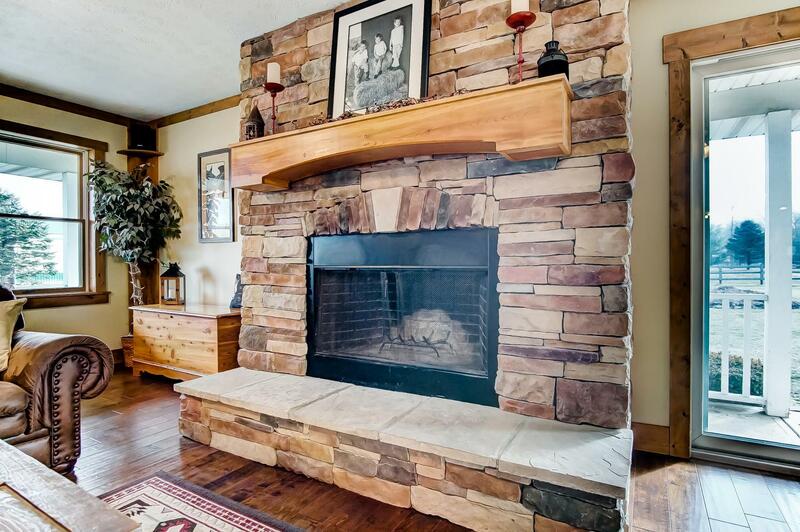 Warm and Inviting Family Rm Features Hardwd Flrs and Impressive Stone WBFP! 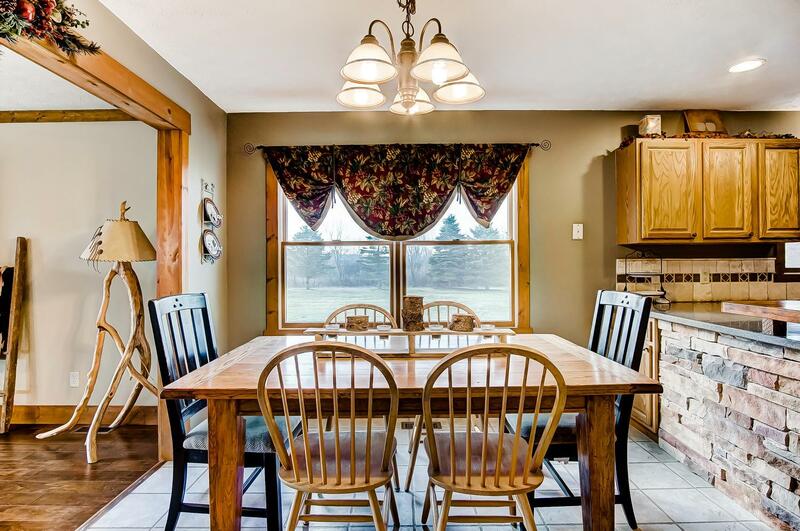 Lovely Eat-in Kitchen w/SS! 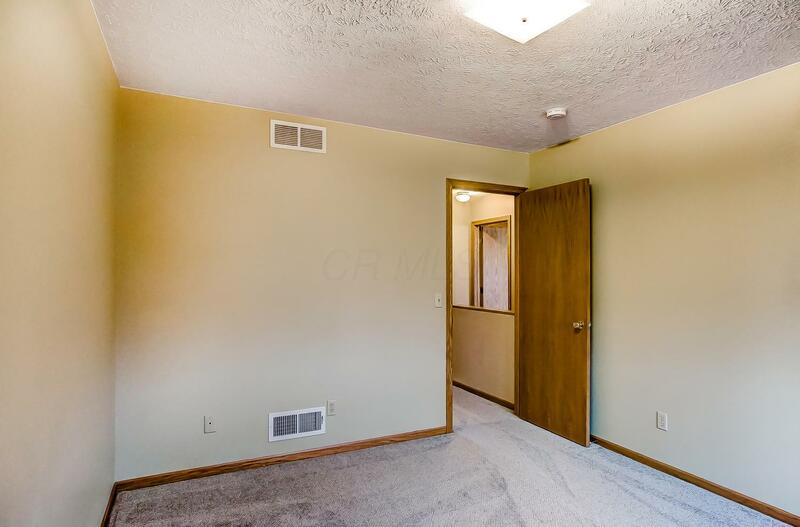 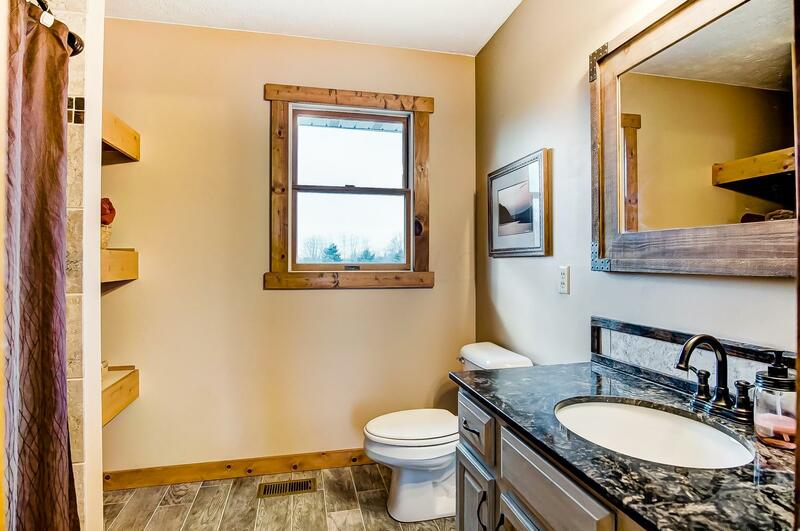 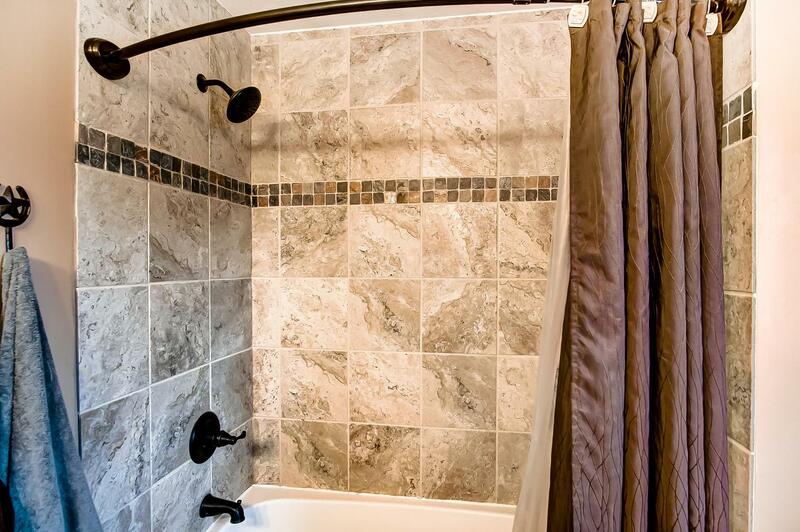 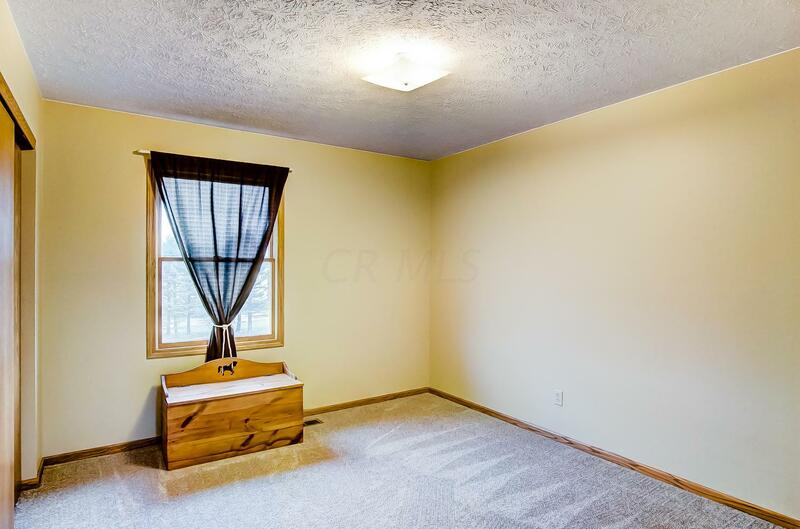 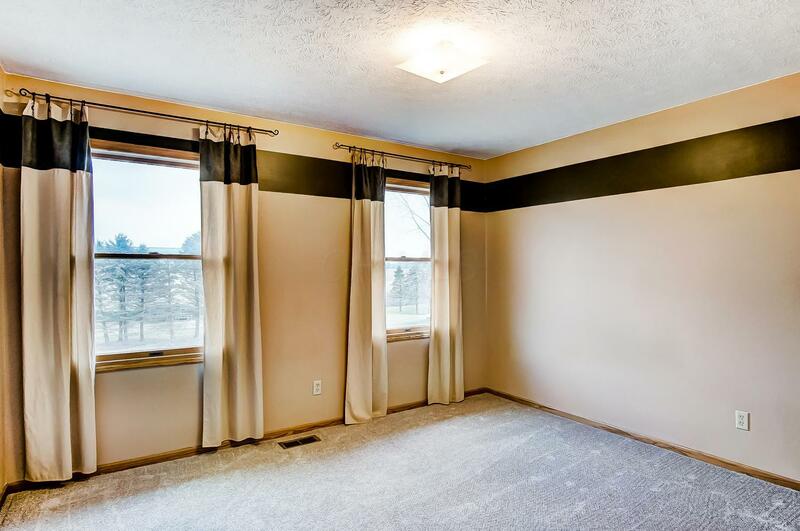 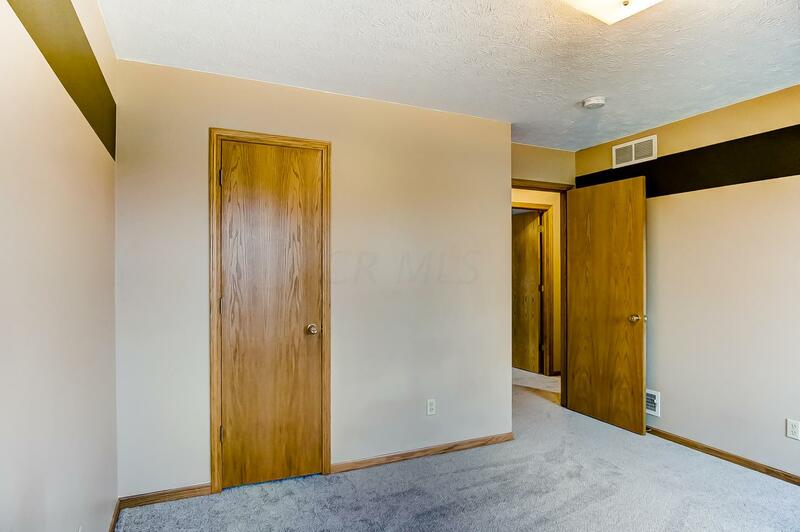 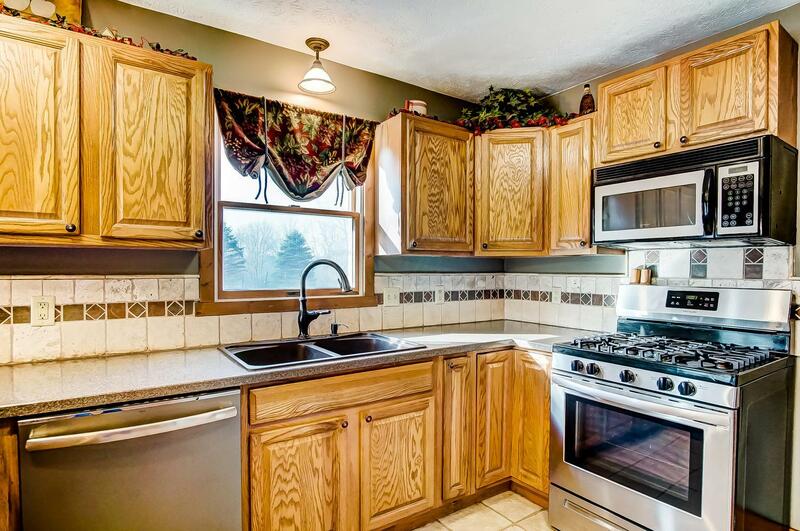 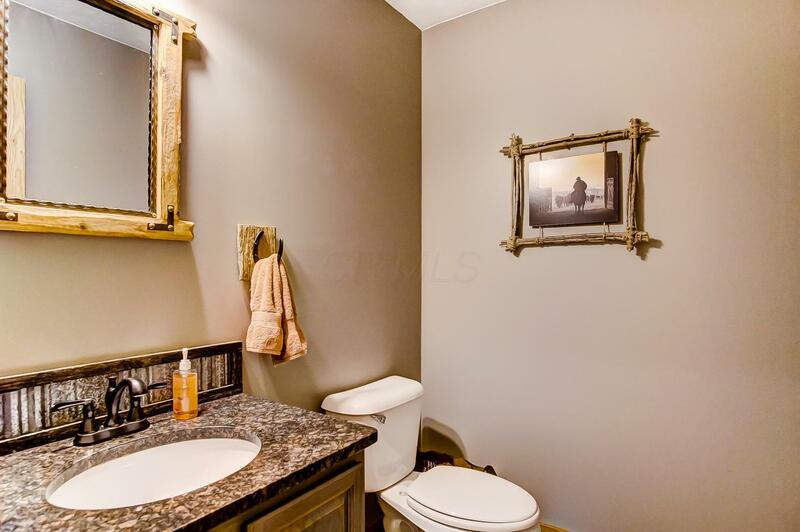 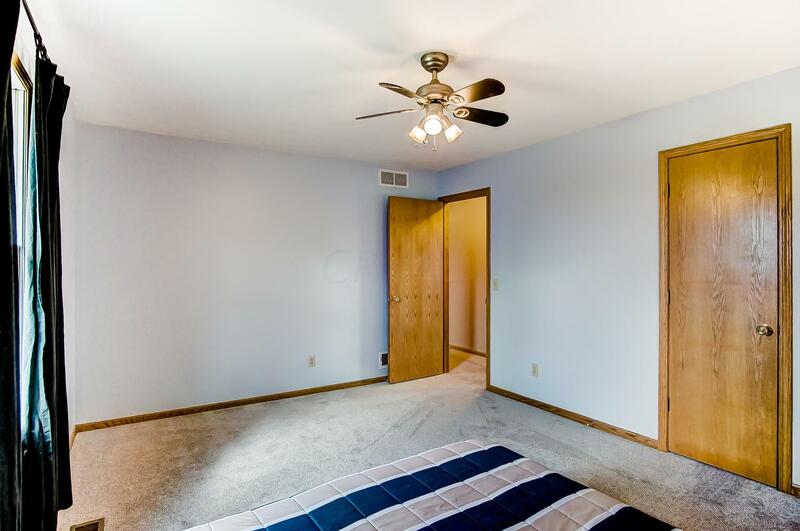 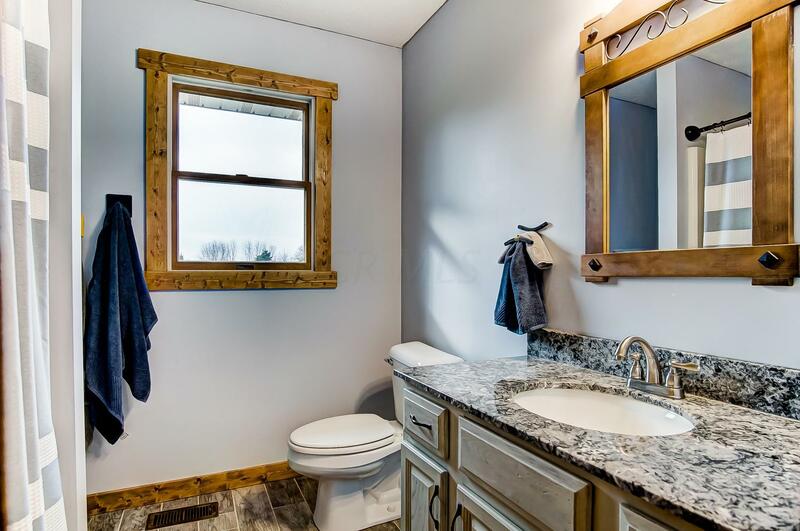 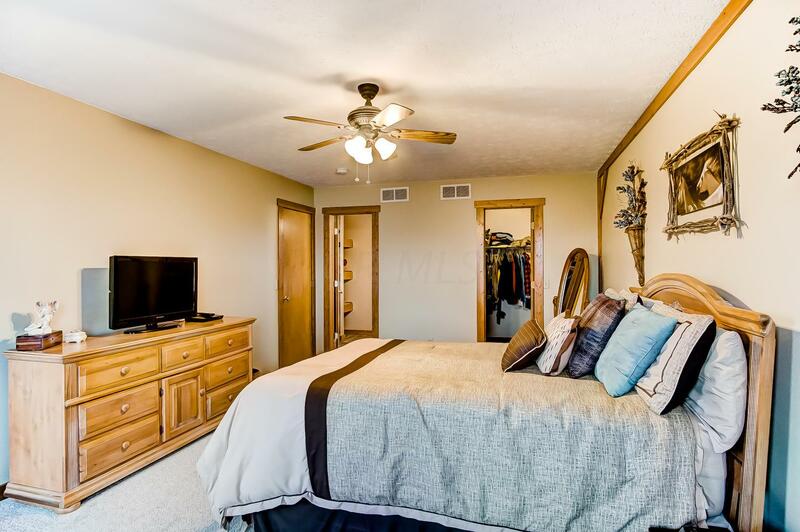 4 Bdrms, 2.5 Bath! 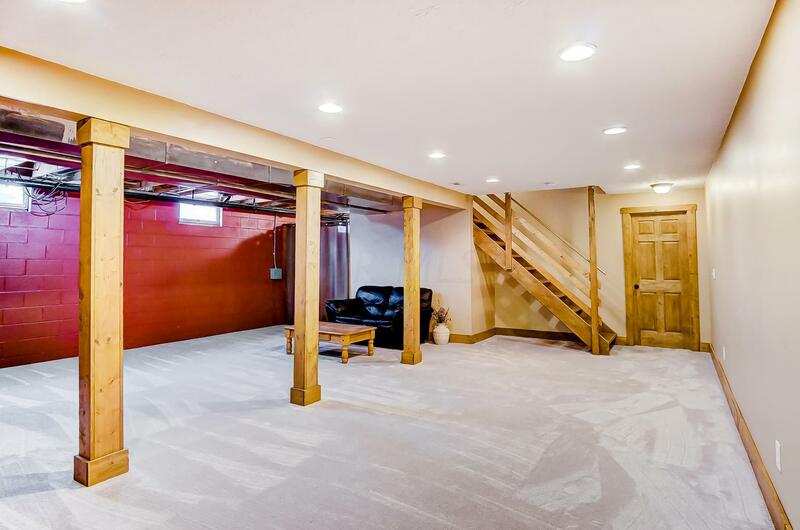 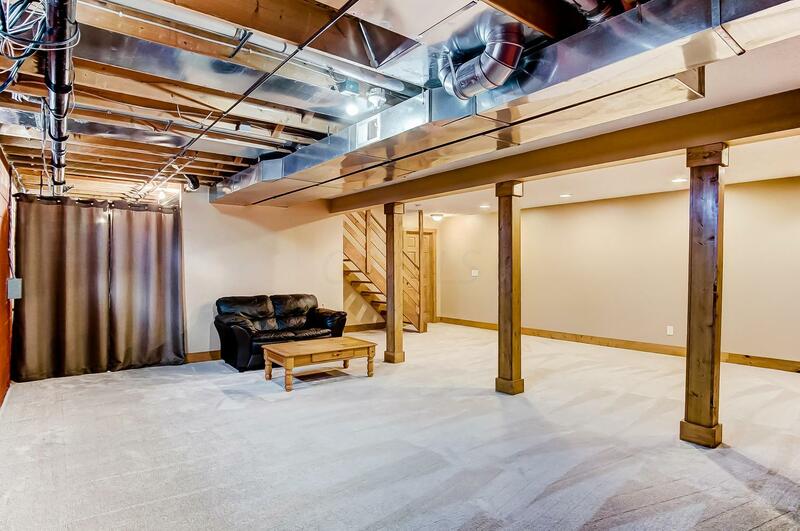 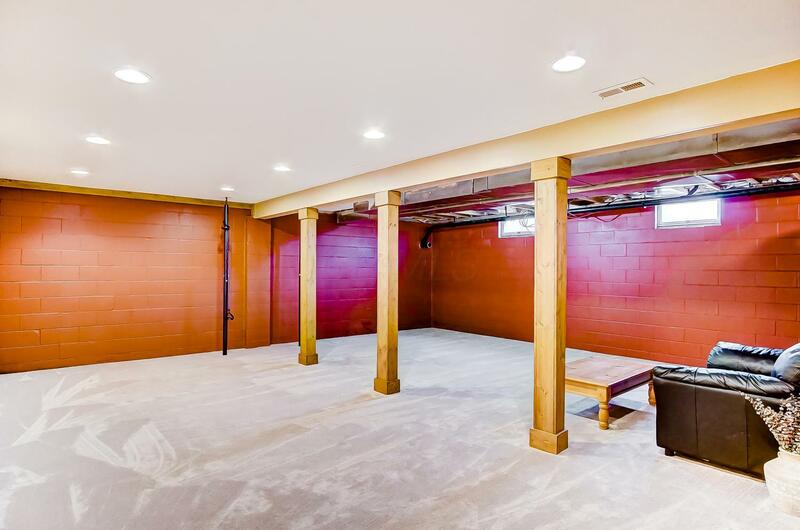 FULL Basement is Partially Finished! 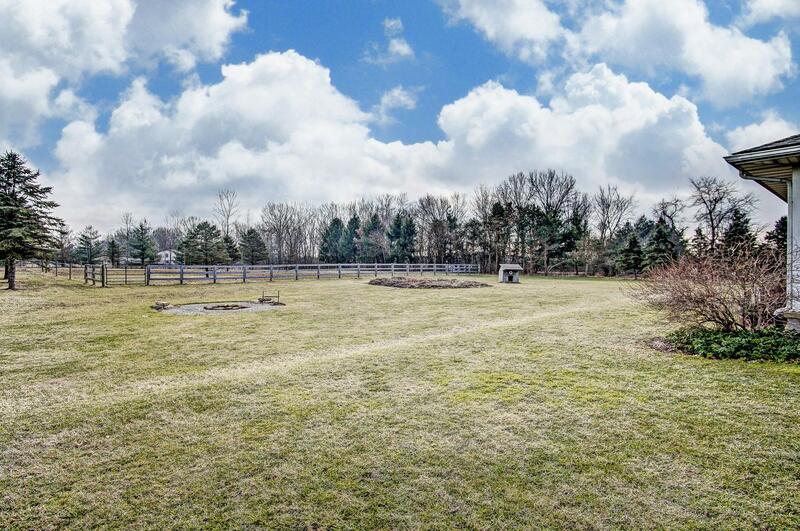 Enjoy the Beauty of Nature All Around w/Lots of Pinetrees and Greenspace For Outdoor Toys! 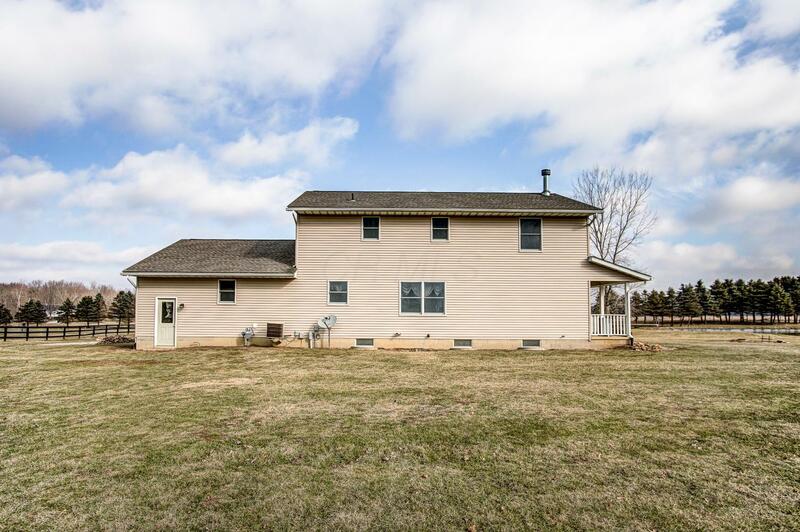 Newer Roof, Siding, H2O, Furnace, Sump Pump!